A new “must see” for visitors to Washington, D.C., is being recommended in addition to the White House, Smithsonian and Washington Monument. “The 1-Cent Magenta postage stamp at the Smithsonian’s National Postal Museum is a once-in-a-lifetime opportunity,” Scott D. English, executive director of the American Philatelic Society, observes. In 2014, this tiny scrap of paper—0.87 inches wide by 0.98 inches high—sold for a cool $9,500,000 to shoe designer and entrepreneur Stuart Weitzman. It was used in British Guiana in 1856 to mail a newspaper. The stamp’s extreme rarity was generated by a simple government mix-up. 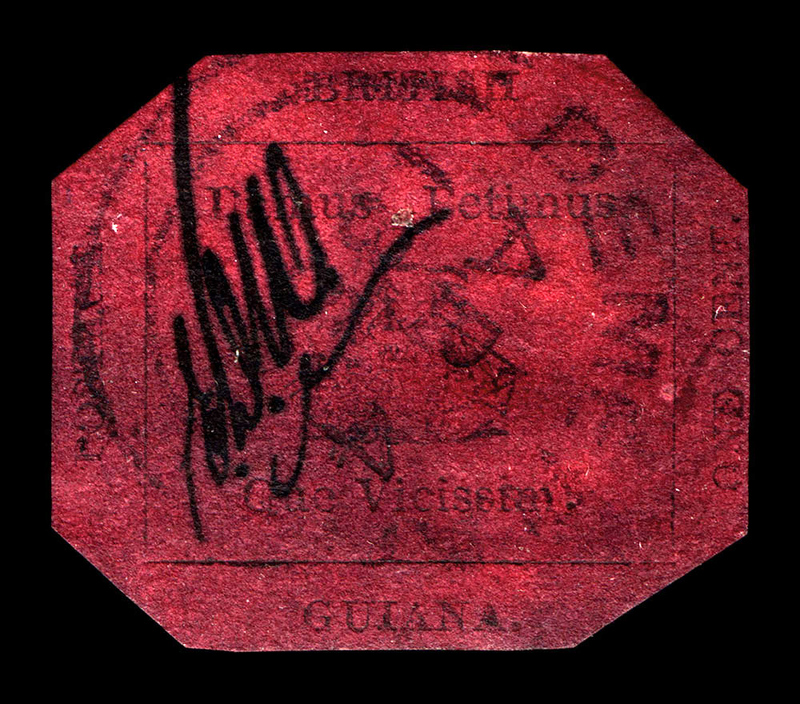 A British colony in British Guiana had ordered 50,000 stamps in denominations of 1 and 4 cents. The British government shipped only 5,000. 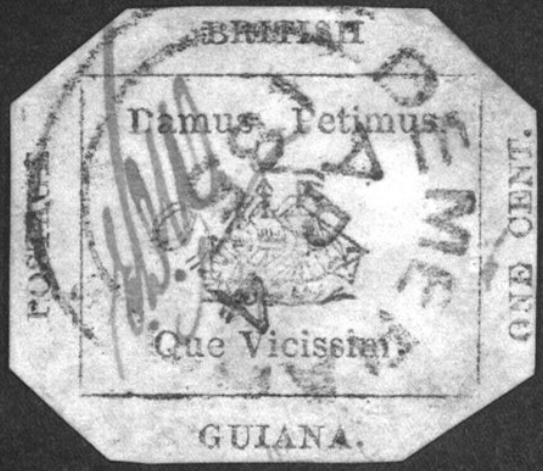 After running low on stamps, the postmaster in British Guiana’s capital, Georgetown, had the local newspaper print 1-cent and 4-cent stamps for provisional use until the next stamp shipment arrived from England. Postal clerk Edmond D. Wight initialed each stamp on the obverse to deter counterfeiting. The 1-cent stamp was posted on newspapers and printed materials. The 4-cent stamp was posted on envelopes. When the next stamp shipment arrived from England, all provisional stamps were destroyed. Of those that were mailed, the 4-cent ones on correspondence and document envelopes survived. Most 1-cent magentas that were affixed to the Royal Gazette newspaper, ended up in the trash. Seven years later, in 1873, 12-year-old stamp collector Louis Vernon Vaughn discovered the 1-Cent Magenta among some old papers at his uncle’s home in British Guiana. He sold it for some more colorful stamps to a dealer who recognized its value. The rest of the story is like a historic novel, as the singular 1 cent Magenta passed through the hands of 12 different collectors, including, after World War I, the government of France. As the only one of its kind in the world, this 1-cent stamp generates headlines and breaks records every time it sells. It has spent most of its 160-plus years behind bank vault bars, appearing only on rare occasions. The Postal Museum display is the 1-Cent Magenta’s longest and most publicly accessible exhibition ever. 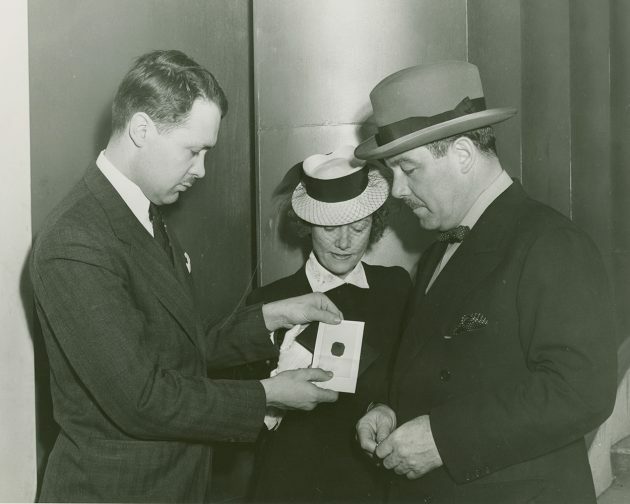 Owner Ann Hind sued to break her husband’s will to obtain the Magenta; she won and put it on display at the 1940 World’s Fair in New York City. Another owner locked it in a bank vault. When he traveled, he took it with him in an attaché case handcuffed to his wrist. Over the years a number of owners of the Magenta stamp have added their marks of provenance to its back. According to Daniel Piazza, National Postal Museum chief curator of philately, “the current owner considered exhibiting the stamp at a number of museums in the United States and Great Britain but selected us, where the stamp will be displayed until November 2017. Director Allen Kane, and I strived to provide a safe environment to exhibit the 1-Cent Magenta,” investing resources to create the best technical environment to exhibit the Magenta and keep it safe. 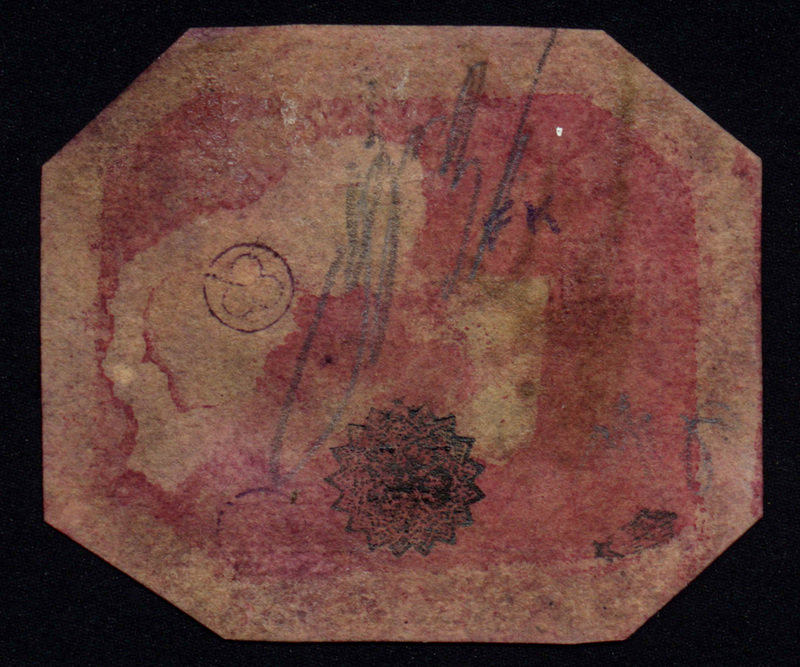 Of course, its uniqueness as a provisional stamp, as a rarity, as a documented art work sought by many for a century and a half, seen by several and owned by few makes this tiny paper scrap newsworthy and rare.